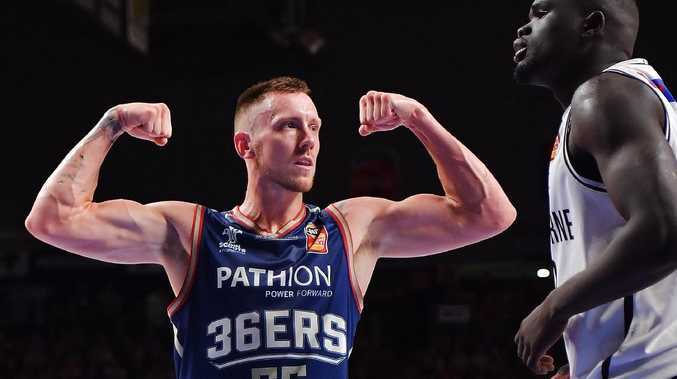 MITCH Creek's NBA dream is about to come true after the former Adelaide 36ers star's move to sign a 10-day contract with the Brooklyn Nets. Creek will become a record 11th Australian to play in the NBA this season, grabbing his chance after injury struck Nets cult figure Spencer Dinwiddie. After an acrimonious split with the 36ers, the Horsham junior initially missed out on an NBA contract but has been plying his trade with Brooklyn's G-League affiliate the Long Island Nets. He could earn his first NBA start when Brooklyn faces the New York Knicks today. Creek tweeted after the deal was announced: "Never let anyone tell you you can't do anything - dream big, work hard and love the process! The work starts now. Huge love to all my friends and anyone else whose supported me." The 196cm-tall 26-year-old mixes a blend of athleticism with a dogged determination typical of Aussie players. Creek, who has signed to play with NBL expansion side South East Melbourne Phoenix next season, will use his chance to push for an extended deal with the Nets.